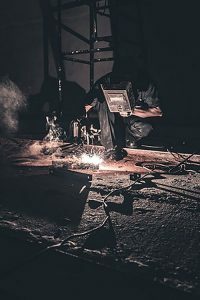 On March 21, OSHA proposed $1.3 million in penalties against a Bowling Green, Ohio company for exposing employees to hazards during maintenance inside heat-treating furnaces. According to the news release from OSHA, employees faced exposure to atmospheric, thermal, electrical, and mechanical hazards. These hazards are related to confined spaces, falls, machine guarding, respiratory protection, chemical exposures, and electrical equipment. OSHA also stated that the company failed to provide proper personal protective equipment and training. The metal heat treatment facility was cited for 25 willful, serious, and other-than-serious violations. Willful violations carry a hefty penalty as they are defined as a violation in which the employer either knowingly failed to comply with a legal requirement or acted with plain indifference to employee safety. Additionally, OSHA responded by placing the company in the Severe Violator Enforcement Program. The program was created in order to better target OSHA resources at non-compliant employers by focusing on the most severe violators. These violators are companies that OSHA feels are actively ignoring safety regulations and putting employees in danger. “The violations identified exposed employees to serious, and potentially life-threatening injuries and illnesses,” said Acting Assistant Secretary of Labor for Occupational Safety and Health Loren Sweatt. One of the most important parts of a comprehensive health and safety program is medical surveillance. With convenient medical testing, employers can stay on top of worker health with exposure assessments, personal protective equipment testing, respiratory protection, and more. Worksite Medical can bring testing directly to your worksite with our mobile medical units. Check out our services and schedule your visit today! If you’re not sure which testing you need, we can help. Complete this form – CLICK HERE – and we will walk you through the testing you need for your workplace! Then, take a tour of our mobile clinic HERE. NOTE: Individual (1 Person) Testing Only Available At Belcamp, MD & Ellwood City, PA Clinics. Optional, however phone will provide you with the quickest response time.